Learn how to use Video Marketing to generate, nurture and qualify sales leads. In survey after survey, busy buyers are turning to video to learn how to solve problems - and to find partners who can help solve them. Visual marketing is a must-do to grow in today's fast-paced sales environment. 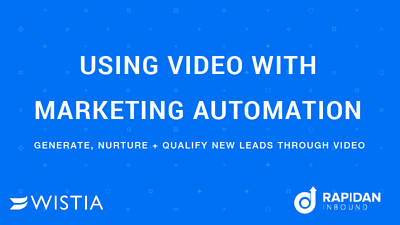 Download Using Video With Marketing Automation to learn how to get more and better leads by aligning video with marketing automation. This is your ultimate guide to using video to grow your business. Download your eBook immediately by completing the form.